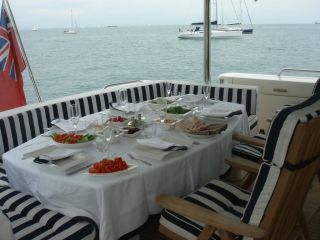 Aquastar 65 *reduced* For Sale is lying in Croatia, Croatia. At 20.43 metres (approx. 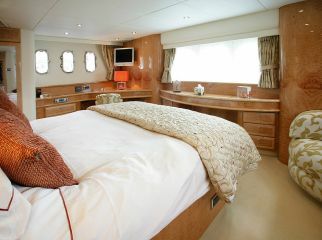 67.03 feet) this Aquastar is a bargain at £625,000. SIGNIFICANT PRICE DROP - The Aquastar 65 is an elegant and solid long range motor yacht and is designed to cruise the oceans of the world in style and comfort. 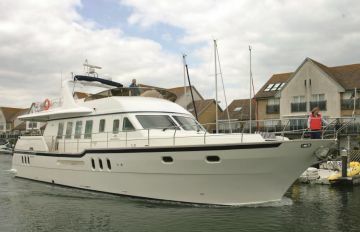 She has been built to the highest standards in 2006 by the Aqua-Star Guernsey Boatyard, known for building UK´s largest trawlers. 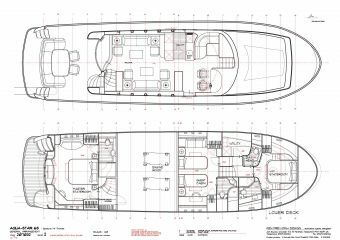 She is powered by two 1000hp Caterpillar diesel engines and is fully equipped with bow- and stern thruster, hydraulic stabilizers, 2 Onan generators, complete navigation equipment on fly bridge and in the pilot house, water maker, crane, Williams tender, hydraulic winches, complete safety equipment including 2 life rafts, etc. 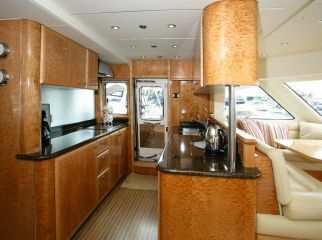 The saloon, dining area, galley and lower helm are located on main deck. 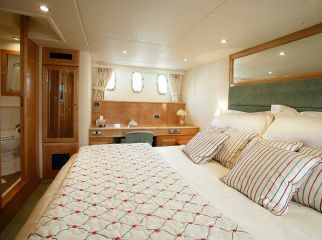 The lower deck offers an impressive master stateroom aft with stern windows, a VIP stateroom, a guest room and a utility room. 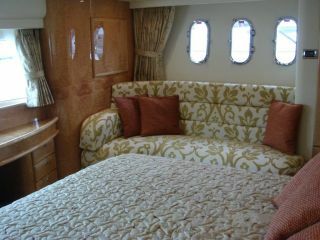 She is hand crafted from bow to stern and is packed with all comforts and appliances like air conditioning, luxury carpeting and upholstery, full entertainment equipment, washer/dryer, dishwasher, etc. 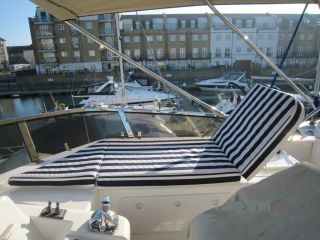 Only one owner from new and always professionally maintained. Viewing highly recommended. 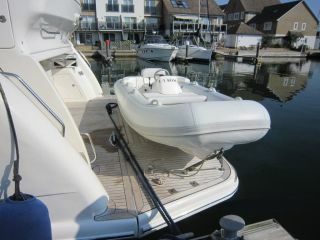 Boatmatch Tip: Want more advice about buying this Aquastar 65 *reduced*? Checkout our Boatmatch Buyers Guide! 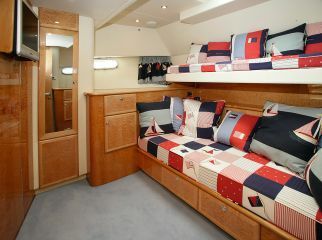 Boatmatch Tip: Have a question about the accommodation of the Aquastar 65 *reduced*? Contact the seller via clicking on the registering interest button above.